Chelsea’s current squad is an enviable one, not only because of the fact that the depth they possess is almost second to none, but also because of the sheer quality of players who will fight it out every week to get a place in the starting XI. A lack of squad depth derailed Chelsea’s campaign last season. However, the arrival of Andre Schurrle and Marco van Ginkel along with the retention of four loanees (Kevin De Bruyne, Romelu Lukaku, Tomas Kalas and Michael Essien) means that squad depth is no longer an issue for Mourinho’s side. However, the simple truth is that Mourinho can only start XI men in a match. Therefore, while he will like to experiment a bit with his sides, he will no doubt put out his strongest XI in certain matches. The real question is: which of the current Chelsea players constitute his strongest XI? The picture below shows what I think is Chelsea’s strongest XI, at least based on last seasons form. This XI might see a few changes as the season goes by, but it would be safe to assume that going into the new season, this will be the team Mourinho will play in big matches. Bear in mind that I’ve created this XI based on the assumption that no new players will be bought or sold. Petr Cech – Probably the only player who will start almost every game because he’s the best goalkeeper Chelsea have. The addition of Mark Schwarzer on a free transfer means that Chelsea now have a quality back-up goalkeeper, but he won’t give Cech too many sleepless nights. Cech has been a mainstay in the Chelsea team for years now and that most certainly won’t change this season. Cesar Azpilicueta – One of Chelsea’s most shrewd signings in quite a while, the young Spaniard made the right-back position his own last season. He is adventurous going forward and does more than his fair share of defensive work, which is exactly what is needed from a full-back. Although there are aspects of his game he can improve on, he will no doubt be chosen ahead of Branislav Ivanovic at right-back. David Luiz – The Brazilian defender, known more for his occasional moments of madness and/or brilliance, improved a lot under Benitez last season. At the moment he is quite easily Chelsea’s best centre-back. His ability to play the ball out of defence coupled with his defensive positioning and ability to intercept the ball well make him a unique player and ensures his spot in Chelsea’s starting XI. Gary Cahill – The only reason I foresee Cahill being first-choice is because Terry, excellent as he’s been over the years, no longer has it in him to play regularly. Cahill’s natural ability and solidity means he would be the perfect foil for Luiz; however, he is prone to making basic mistakes. He might lose his regular spot to Tomas Kalas as the season goes by, depending on how well Kalas does in the chances he gets under Mourinho. Ashley Cole – The best left-back in the world, allegedly. Given his form last season, Cole shouldn’t be guaranteed a spot in Chelsea’s XI any longer. However, Bertrand isn’t quite yet ready to become a regular just yet, so I think Cole might get a few games in the early parts of the season. However, if he carries on last season’s form into this season, he will lose his spot in the team quicker than most people would like. Ramires – His energy, drive and hard work always help the team; however, his form last season was mixed. His limited technical abilities were more often than not exposed and therefore he struggled. There’s a slight chance that he might lose his spot in the starting XI to Marco van Ginkel, although given the Dutchman’s age, that won’t happen right away. Ramires will start most games, at least during the early parts of the season. Jon Obi Mikel – Ah, the man who splits opinions among Chelsea fans more than anyone else. Despite what many people might think, he is currently Chelsea’s best defensive midfielder and therefore will be one of the first names on the team-sheet. His ability to shield the defence and break up the opposition’s counter attacks is vital and if given a bit more freedom in midfield, he might just start influencing Chelsea’s attacking play more than he currently does. Juan Mata – The diminutive Spaniard has been an amazing player for Chelsea since he signed from Valencia, winning Chelsea’s “Player of the Year” award for two consecutive seasons. He might start some games on the right wing (given Mourinho’s love for inside wingers), so he will no doubt have to improve his defensive contributions. Nevertheless, Mata will once again be an important player for Chelsea in the coming season. Kevin De Bruyne – The Belgian playmaker did very well at Werder Bremen during the 2012/13 season and has been one of Chelsea’s best players in pre-season. That being said, I don’t expect him to bench Oscar permanently. Rather, the two of them will probably be rotated on a regular basis, maybe even played together in certain matches. However, De Bruyne is slightly ahead of Oscar in the pecking order, at least for the moment. Eden Hazard – His performances last season might have left some feeling slightly underwhelmed, but there’s no doubting the Belgian’s quality. His speed, close control and ability to pick a pass make him a very hard player to keep quiet and he will most certainly be a regular at Chelsea in the coming season. He has set his sights on making himself as good as Ronaldo and Messi. No one should be surprised if he becomes a player of their quality soon enough. Fernando Torres – Given Lukaku’s fine form in front of goal last season, many will be tempted to play him ahead of Torres. However, leading the line of a club where you’re expected to win matches every time is easier said than done, especially for a youngster. Hence I expect Torres and Lukaku to be rotated regularly. Ba will have to work hard to get himself ahead in the pecking order because Torres, despite being as suspect in front of goal as the Senegalese, offers more to the team. What are your thoughts on Chelsea’s strongest playing XI for next season? Do let us know! Mikel is shite get over it , move him on…. This will work as everyone plays in their natural positions and we will have a playmaker in a deep position, which we have lacked since Ballack left us. This will help us move the ball from defence to midfield to attack with more purpose, instead of throwing passes at Torres who has a poor first touch. Perfect Formation in my point of view. This is certainly a wining formation. But chances should be given to those young players also. Week and week out Torres and Lukaku should be rotated and Ba can be give opportunities mostly in cups! The double pivot position is perfect.The line up is okay but we should rotate KDB and Oscar as well as Schurrle and Hazard and not forgetting Lukaku for Torress. Anyone who picks Mikel has not watch Chelsea over the last 8-9 yrs Mikel is the worst player in the squad, jose knows it. Sick of mikels mates posting on his behalf. His build up play is poor is passing is a joke (1 good pass in 90mins does not make u good) his tackling is a waste of time and his positioning is even worse.Hopefully these Gala rumours come true. Get him out and get someone better in, de rossi or khedira. but i still believe van Ginkel is the missing piece for Mikel. I always think that both of them will do good. but yeah he is too young for now. @Jamescfc, dat question should directed t0 u. from ur comment i dont think u hv ever watch Mikel play or u just hate him.Take it or leave it for now is our best holdin midfielder n other r just box to box. put Essien or Ramires in defencive midfield role, they would stay n cover well there n secondly they r not a good passer like Mikell though they can attack better than Mikhel. i belong to blues A R M Y. No Max. Been season ticket holder for 29 yrs ,you probably live in a different continent and have never been to the bridge. Mikels stats speak for themselves his pass complistion is below players that played in the bottom half of the league, his tackle success % is lower than half the registered CDM in the premier league. 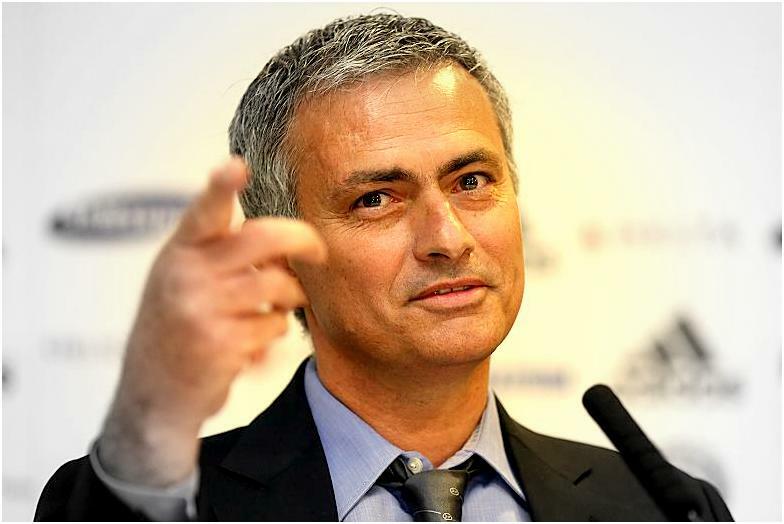 Jose knows he is the weak link think back to the first spell mikel was 3rd choice cdm behind maka and essein. He walks around the pitch, never breaks a sweet, and never scores, most holding mids at least get 1 or 2 per season not 1 in 8yrs. SHIP HIM OUT. ur right on point bt I think oscar will be placed in our 10 role this season. R U Mikels agent or one of the onterarge. Talent is what Mikel doesn’t have simply look at his stats compared to other holding mids, they don’t stand up. Come on Gala snap him up. 2 goodish games in 8yrs. Yeah mate blinding player……………………….not.